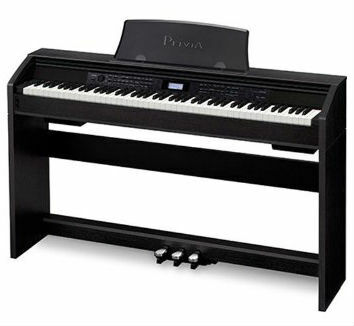 A Privia digital piano is one of the best buys on the market these days. The Privia line of digital pianos from Casio have been exquisitely designed and structured to fit the needs of almost any digital piano player. Casio has painstakingly put together a line of fully featured models, while still keeping their machines at a reasonable price. And the Casio Privia PX-780 in particular is certainly a model that fits this description. While there are a number of digital pianos that might seem to compare with this one, the PX-780 is certainly one of the best in its class. 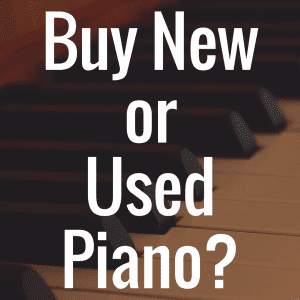 Below, compare the affordable Casio Privia PX-780 to some of the best pianos in its class based on metrics like weight, price, and even customer reviews from Amazon.com. You can now read our brand new review of the Casio PX-770 right here. If you buy a Casio Privia digital piano, you certainly are going to get your money’s worth when it comes to beauty and design. The Privia PX-780 comes with an amazing and stylish cabinet that has a matte black color finish with a wooden feel to it. The piano is a full 88 scale key machine, so it’s certainly industry standard when it comes to elegant digital pianos. In fact, not many piano models have a sliding cover, so this machine sets itself apart in that area. You’ll never have to worry about dust getting into your keys or other unforeseen events messing up your console. In the indentation of the machine lies the interface of the entire console, which is set at an angle in relation to the playing board of the keys. The interface has a nice design as well, with a combination of knobs and buttons that aren’t too hard to figure out and go easy on the eyes. There is also a small sized LCD screen which will help you navigate the tones and rhythms of the machine. The dimensions of the digital piano are just over fifty-three inches long and almost 12 inches deep, with the piano being almost 33 inches off the ground when you add the stand. Casio likes to advertise this piano along with the CS-76P music stand, which can also come in the same stylish matte black color finish as the piano. The Privia line of digital pianos are known for having a more exquisite sound than most other digital pianos, and that is certainly the case with this model. The PX-780 comes with 250 built in tones that give the piano player a variety of sounds to choose from when practicing or performing. The piano also comes with a coveted 128 notes of maximum polyphony, which will ensure a very small amount, if any, of dropped notes when playing the piano. As a general resource, the more notes of polyphony a piano has, the easier it will be for the machine to generate a sound without dropping notes, especially if more than one feature is being used at one time, such as layer, split, or the sustain pedal. For most beginners or immediate piano players, 128 notes of polyphony are more than enough. The tones housed on the piano here sound wonderful. 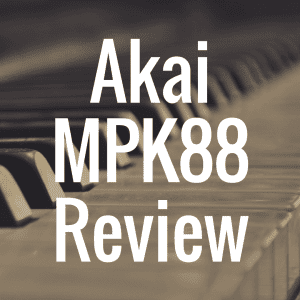 Casio has done more than enough to ensure that this piano sounds as real as possible, and they’ve pushed their engineering and proprietary technology to the maximum. There are main grand piano sounds, along with strings, organs, electric pianos, bass, and many other tones. 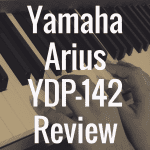 To get a better feel for how the piano sounds just check out this YouTube digital piano test video here. The Privia PX-780 contains one of the better sound systems found on the Privia line. Casio has improved upon their award winning sound system by implementing a newer one, called the AiR sound source, or the Acoustic and intelligent Resonator. This sound system uses more than three times the memory generated by the previous generation, and provides a much fuller sound, especially when hooked up to a monitor or speaker system. This sound generation is backed by the 88 note Tri-sensor scaled hammer action keyboard. A hammer action effect has been engineered into every single key on the board, which gives the piano a real acoustic feel, instead of that like most plastic keys on cheap keyboards. 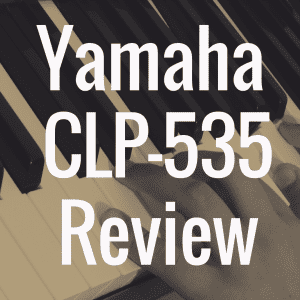 Each key also has an amazing Ebony and Ivory finish to it, something that is a welcome addition to piano players looking for a natural feel to the digital experience. The PX-780 has an awesome number of other features that come with the piano, as well. One of the first that pop out is the USB MIDI connectivity housed in this machine. This piano is class compliant and now industry standard with USB MIDI capability compared to any other machine, meaning it will be easy to connect to any industry computer or interface. Whether your computer is Mac or Windows, it will be no problem to connect, and you won’t have to download any annoying drivers or software. The USB MIDI on this Privia will also allow you to use the machine as a MIDI controller hooked up to any Apple iPad. The PX-780 has a standard split and layer feature, making it easy for you to put one instrument in the left hand, say a bass, and another in right, say some strings, or layer those two sounds on top of one another. Another feature that appeals to young piano players or teachers is Duet Mode. Duet Mode splits the piano range into two equal sections, allowing a teacher to sit on one end of the piano while the student sits on the other, replicating exactly what the teacher does. There is also a jack for headphones to allow for piano sessions that won’t wake up the whole house. 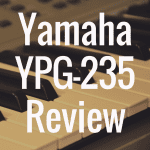 Usually I would shy away from digital pianos that rise up into the higher ranges as far as prices are concerned. However, when dealing with such a high quality end piano such as a Casio Privia, I’m able to take a second look. This digital piano straight out of the box is worth its retail price of $999. However, if this is a bit much for you, you can certainly find some better deals on Amazon.com. When compared with a similar digital piano such as the AP-420 Celviano, you begin to see the quality and class contained in the Privia PX-780. The Celviano class of digital pianos was created to compete with higher end models of pianos, such as the Yamaha Clavinovas. By comparison, the Privia has the same amount of polyphony (128), the same Tri-sensor hammer action, more tones, more preset songs, a lesser weight, with a better sound source (AiR), for a lesser price. It’s no wonder Privia digital pianos fly off the shelves at such a high rate. 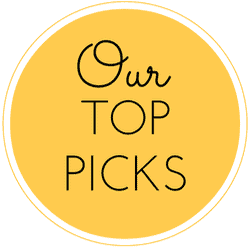 If you enjoyed this article, please “like us” on Facebook today! What’s the Best Casio Digital Piano? 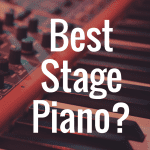 What Is the Best Digital Stage Piano?